Do you have a cat? If yes, here is a coupon you may consider. 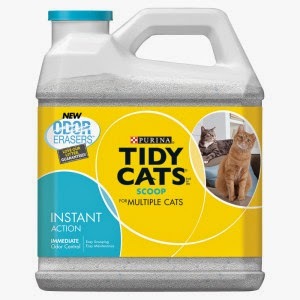 You can now print a new $2 coupon for Purina Tidy Cats. See more details below. The $2 coupon is located here. Just make sure your home printer is active! With Purina Tidy Cat you give your cat litter that works with your lifestyle. Whether you have one or more cats, Tidy Cats has the right cat litter! Due to the Crystals Blend technology, which represents a mix of silica gel crystals, your cat's urine and poo will be absorbed into solid blocks neutralizing the pet's smells.